Mildred I. Jett, 91, of Litchfield, IL passed away Monday, January 28, 2019 at 9:15 P.M. at Heritage Health Therapy and Senior Care in Litchfield, IL. Mildred was born on March 7, 1927 in Taylor Springs, IL, a daughter of Thomas Richard Hankins & Lydia Catherine Eveland. Mildred married John Jett, Jr. on December 6, 1947 and he preceded her in death on August 25, 2010. Over the years she worked at several factories including a dress factory and Webco both in Litchfield, IL and for the Litchfield Community Unit School District in the cafeteria at J.D. Colt Elementary School in Litchfield, IL. She was also a homemaker. 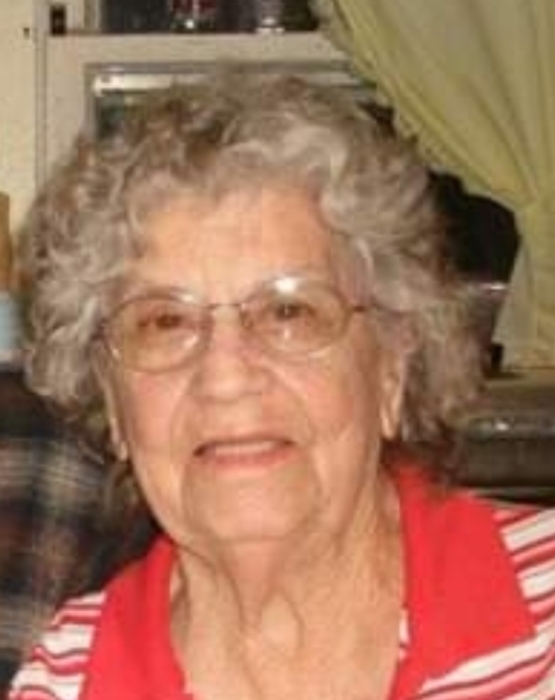 Mildred enjoyed quilting, fishing, and collecting antiques. She was preceded in death by her parents, husband, siblings, Wayne Hankins, Rubye Shipman, Elizabeth Dowarsak, Leonard Hankins, Alfred Hankins, Mary Hazelbrock, and grandson Brian Edrington. Funeral services will be held Sunday, February 3, 2019 at 12 noon at the Litchfield Family Funeral Service in Litchfield, IL. Pastor Steve Benthal, minister of the Cornerstone Church in Litchfield will officiate. Visitation will be Sunday from 10:00 A.M. until time of service at the funeral home. She will be laid to rest next to her husband at King Cemetery in Irving, IL. The family suggests memorials be directed to the King Cemetery.